Pain affecting the face, lips, mouth or jaws can be quite debilitating particularly as we use these vital structures in function all the time. I think the most important thing to do is to exclude an organic cause and thereafter I have a number of strategies to reduce symptoms particularly during severe exacerbations. Recurrent oral ulceration is a term used to describe small mouth ulcers which typically last a few days but come back every few weeks or months. Typically they affect the tongue, lips and cheeks, but any part of the mouth can get ulcers. They are very common, often starting in childhood. About two in every three people will have been affected with recurrent oral ulceration at some time in their lives. Although the cause of the most common type of recurrent oral ulceration is unknown there are lots of reasons why people can get other types of ulcers in their mouths. Some ulcers can be related to low levels of iron or vitamins in the blood. Rarely ulcers can be associated with skin or stomach problems. Are there any treatments for the mouth ulcers? Because mouth ulcers are so common their treatment has been studied by many scientists. There are a wide variety of treatments available all of which probably make the ulcers go away more quickly and feel less painful but do not prevent the next crop of ulcers from occurring. Mouthwashes (eg Corsodyl, Difflam) can be used. Similarly weak steroids in the form of pastes, dissolving tablets or mouthwashes can sometimes help. How can I tell whether my mouth ulcers are related to another problem? I will ask you about your general health and ask you questions about whether you have noticed any problems with your skin or stomach. You will also be asked if you have noticed ulcers anywhere else on your body. 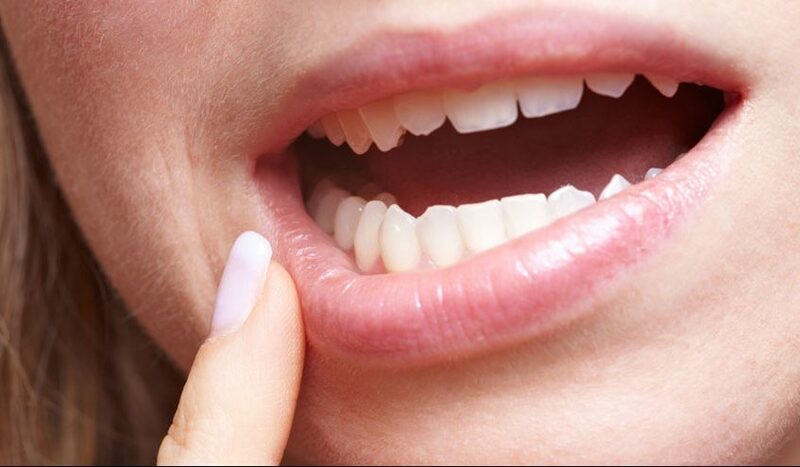 If you have mouth ulcers blood tests are usually taken to check if they are the result of another medical condition. However the majority of people with mouth ulcers have completely normal blood tests. No. They are not infectious and cannot be passed on to others. Recurrent oral ulceration often gets better with age. We are not sure why but people often grow out of mouth ulcers by their 30s or 40s. However they can disappear sooner or carry on for longer in some people.